As a kid, you’re often asked by adults, “so what do you want to be when you grow up?” We often hear familiar responses – firefighter, veterinarian, pilot, ballerina, Spiderman or Wonder Woman among the top career choices. It’s rare to hear someone say they want to be a home builder when they grow up. And we agree, being Spiderman would be WAY cooler! 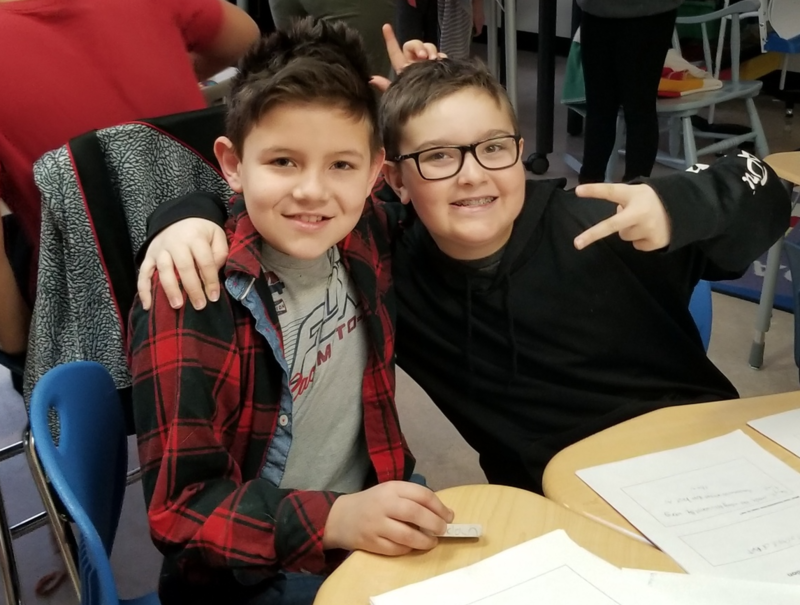 So, it was exciting for us when a teacher at Father Henri Voisin Elementary School in Red Deer reached out to us and gave us an opportunity to work with his grade five class to showcase all the great things about being a builder. He had a great idea to put the class to work for an amazing cause. Mr. Strome, Mr. Jackson, and Mrs. Barrow’s goal was to educate the students about the difficulties experienced by the less fortunate in Red Deer, and what it means to give to those in need. The focus of the “Home is Where the Heart is” is for the students to construct their own model house designed specifically for those who need it most. The students get to decide all the features and benefits of the home to create a functional, but practical, dwelling. Along the way, the assignment helps the students learn about the challenges faced by homeless people, and what could be done to help them and truly impact their lives for the better. Fundamentally, teaching the kids about community involvement, caring for the less fortunate and “giving back” sends a powerful message; learning how they can potentially make a difference in the lives of this vulnerable population is invaluable. Partnering with the school has been such a pleasure. This has been a valuable learning opportunity for us as well, and we enjoyed spending time with Mr. Strome, Mr. Jackson, and Mrs. Barrow’s grade 5 class. We look forward to seeing their creations!